As the Syria Crises continues with unfolding developments every day, an economic crisis looms. The unlimited printing of the US dollar, a coming war within the Middle East with Syria and possibly Iran and the European economic crises will ignite a gold and silver revolution that will empower sovereign countries and individuals. Many countries especially in the BRIC nations are turning to gold bullion for trade and national investments as a safe haven instead of the US dollar. 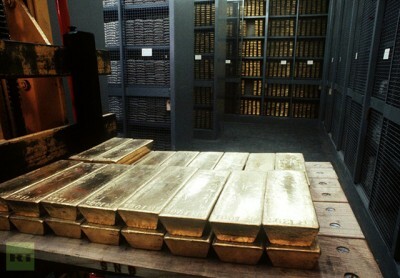 China and Russia have been hoarding gold reserves at a pace parallel to the Federal Reserve printing press. Silver on the other hand is a metal that has intrinsic value as gold. Can silver be used to back a particular currency? Yes. Can it be used for trade? Yes. From the Byzantine Empire to the Roman Empire to modern times, silver can be used as an international standard for trade and commerce. During the Spanish empire, a large untapped area of pure silver was discovered in Potosi, Bolivia allowing Spanish Pieces of Eight in conjunction with the newly discovered silver deposits as an international trading currency for more than 400 years. By 1717, Sir Isaac Newton who was the master of the Royal Mint introduced a new mint that contained both silver and gold allowing Great Britain to enter into a gold standard. By 1873, Germany adopted the gold standard in collaboration with the new gold coin. The United States converted to a gold currency in the same year, and over the next 35 years, all other nations changed to gold, leaving China, Hong Kong (UK) and Weihaiwei (a city in eastern Shandong province in China) on the silver standard. The silver standard finally came to an end when it was abandoned by China and Hong Kong in 1935. Silver ingots were the first metal used for trade more than 4,000 years ago. During Mediterranean trade routes, the Athenian empire used the silver “tetradrachm”, a coin that was used as an international standard. The history of how Gold and Silver was used as a currency in the past is a glimpse of what the future of precious metals can offer nations and individual investors alike. People all over the world are not waiting any longer to purchase gold or silver. Recently in China more than 10,000 people were waiting in line to purchase gold in case of any economic downturn in the Chinese economy or in its currency. Gold is a good way to protect your wealth from any economic uncertainty. Indonesia also witnessed a demand in the purchasing of gold jewelry as gold prices fell. According to Bloomberg News “Gold jewelry demand in Indonesia is set to expand to a four-year high as consumers in Southeast Asia’s biggest buyer join India to China in increasing purchases as prices slump and the middle class expands” the report also said that the “Consumption of necklaces, bracelets and rings will probably climb to 40 metric tons this year, according to Iskandar Husin, secretary-general of the Indonesian Goldsmiths and Jewelers Association. That’s a 30 percent increase from 30.8 tons in 2012, and the most since 41 tons in 2009, data from the London-based World Gold Council show.” China and Indonesia is just a couple of examples on how the demand for precious metals has increased over the years whether because gold prices have fallen or by economic uncertainty. It will further increase the demand for precious metals since the Federal Reserve Bank recent decision “not to taper” QE. The Fed knows that this is a disastrous policy for the US economy. The Fed’s decision to continue its $85 Billion in bond purchases is a step towards economic uncertainties for the US economy and the value of its dollar that would have an impact on the world’s economy. Countries and individuals are purchasing precious metals preferably gold and silver to protect themselves from economic downturn. That is why the US and its allies want a war, because their economy is in trouble. Washington’s only real economy is the Military-Industrial Complex and Wall Street’s financial schemes including the Federal Reserve Bank who continues to print money out of thin air. My suggestion is to prepare now, while gold and silver is still relatively affordable. Because once any economic indicator that suggests that the US economy is not getting any better or an outbreak of a war in the Middle East, both gold and silver will increase in price as with everything else including food, liquor and gas.